NEW YORK (October 9, 2017) – FlightSafety International is extending its Honeywell training programs to Brisbane, Australia. FlightSafety was selected as the authorized training provider for Honeywell in 2016. Since then FlightSafety courseware designers and subject matter experts have worked closely with Honeywell to develop close to 60 aircraft and platform specific courses for APUs, avionics, engines, environmental controls, and SATCOM communications systems for corporate and commercial aircraft. FlightSafety instructors deliver the highest quality interactive training for Honeywell products utilizing state of the art instructional technologies and equipment including Desktop and Graphical Flight deck simulators as well as other hands-on training devices, training aids, and test equipment. Those who train also benefit from online course selection, scheduling and reservations. 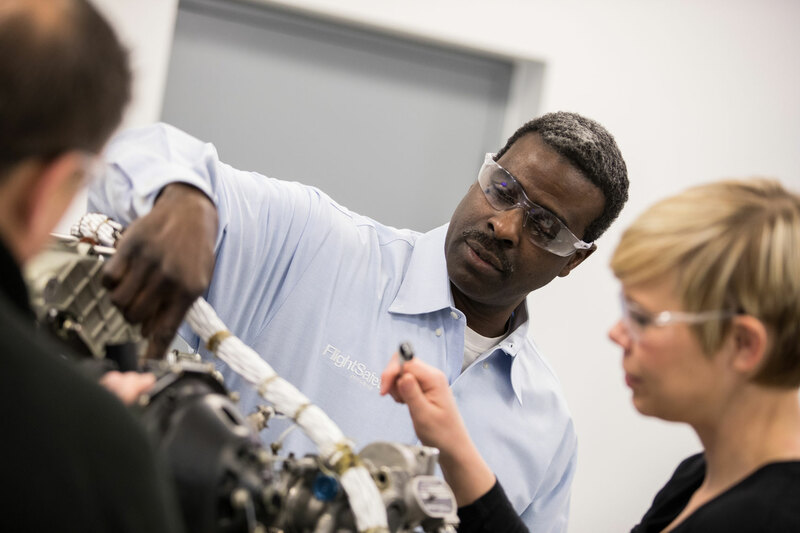 More than 600 technicians who support and maintain Honeywell products have received close to 18,000 hours of training in Dallas, Texas, Wichita, Kansas or at their own facility to date.